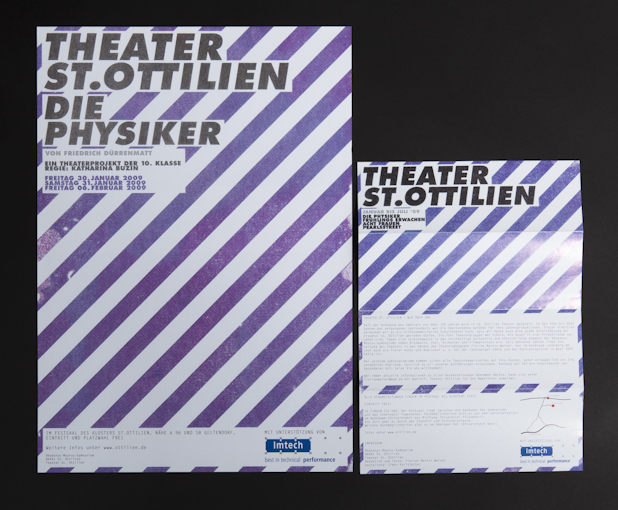 A flyer and posters for several performances of the school play in St. Ottilien, using typography and bevel blue lines. 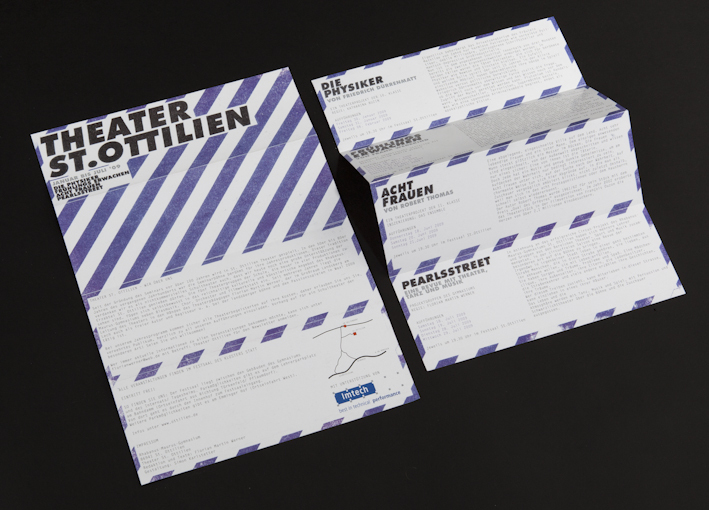 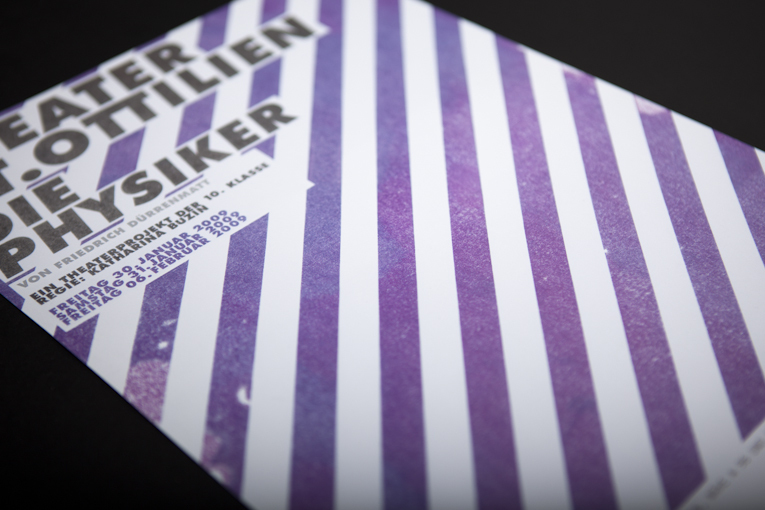 The leporello-folding of the flyer shows the upper parts of the other pages on top. 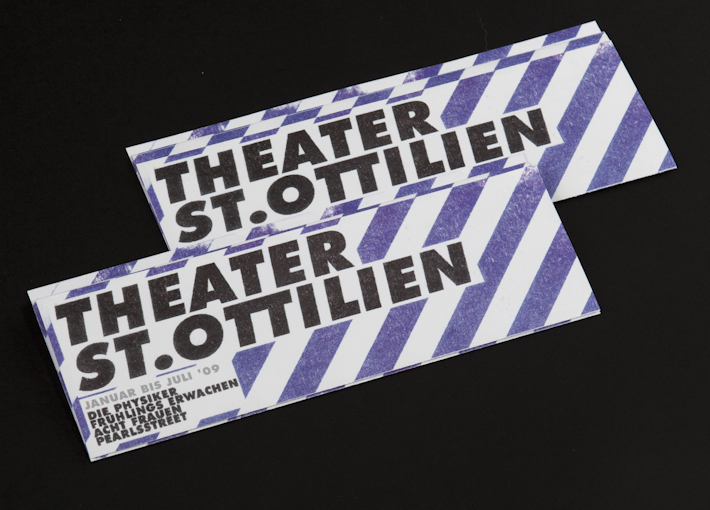 If you unfold it, you can use it as a small poster showing all dates of the different plays.